The San Jamar 800FG17 BestGuard® oven mitt comes in tan so it can easily match any uniform or theme. With a non-stick coating, the glove easily wipes clean with a damp cloth. It is fire retardant to slow the spread of fire. Insulation stays in place thanks to Kevlar® stitching, and WebGuard™ Plus provides extra protection between the thumb and forefinger. 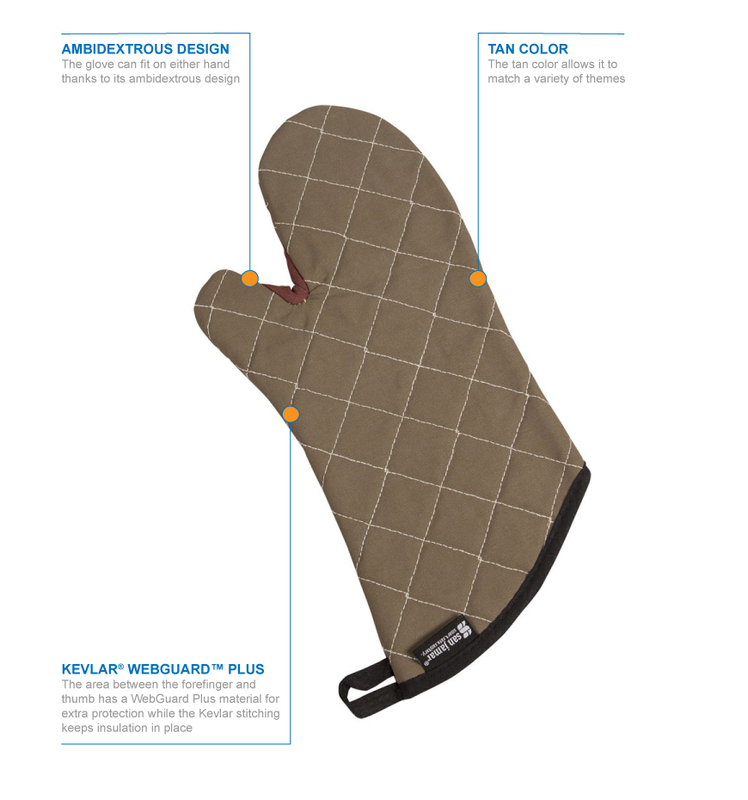 The San Jamar 800FG17 BestGuard oven mitt is designed to be ambidextrous for versatility. It protects hands up to 450 degrees Fahrenheit for 30 seconds. Protects up to 450 degrees F for 30 sec. 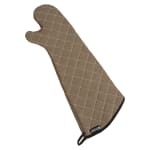 BestGuard Oven Mitt, 17 in L, Elbow Length, Protects to 425F, Fire Retardant, tan. "The stiffness makes it impossible to pick up - say a cookie sheet with one hand."